The retail sector is currently driven by anticipation that consumers will spend throughout the year of 2018. Along with cut-throat competition amongst various store formats and channels in the retail industry, as per the NRF forecast, it is expected to grow at a projected rate of 3.2% to 3.8% in 2018. But retailers are presently focusing on Internet of Things (IoT) for gaining more agility and becoming competitive than achieving their ROI targets. And to achieve agility and competitive edge, it is important for the retail sector to cater to both online and in-store consumers. Operational model Redesign their operational model to achieve a competitive edge and gain agility in their operations. Customer behavioral analysis should be done to understand the consumers’ behavior and change in buying and spending trends. Value proposition recalibration to understand the changes in demand and supply trends and how the consumers perceive a product’s value and to attract maximum customers. What are the operational challenges being faced by the retail sector? A requirement for greater inventory visibility and accuracy is a challenge for retailers. Since many retailers now believe in the omni-channel distribution model, inventory visibility becomes critical. The inventory might be stacked in various warehouses across various locations in a country or globally, or some of the merchandise might be in transit. So monitoring and accounting for all the inventory in a retailer’s ledger, be it in the warehouse or in transit becomes vital. The IoT devices help retailers in monitoring and accounting the inventory and its whereabouts accurately. IoT in retail sector is becoming progressively important. With IoT devices, predicting equipment failure or detecting issues with equipment even before it happens is possible. This is known as predictive maintenance. With help of Internet of Things in retail industry, the retailers can make use of IoT sensors for the same and save upon time and cost. For e.g. a huge refrigeration unit in a store can be instrumented with a sensor to detect its untimely failure. Other maintenance issues viz. energy consumption, temperature fluctuation or whether a machine or equipment needs servicing or replacement of parts etc. can be detected. This will help save the retailers a lot of time and cost while reducing downtime and increasing overall efficiency which will further result in the creation of Goodwill amongst their customers, increase in sales and thus achievement of ROI. With GPS being used to track the vehicles carrying the merchandise, it becomes easy for the retailers to track the dispatch and arrival of their inventory. IoT also helps in optimizing the routes of delivery resulting in the efficient delivery and reducing the wait time for retailers. It also increases end-to-end visibility for both the suppliers and their retailers which results in improved business relationships as well as operational efficiency. This is concerned with in-store inventory demand as well as warehouse automation. With IoT sensors, it is now possible to manage the in-store inventory. This is also termed as item-level inventory. With the help of RFID, the store manager can monitor real-time inventory visibility and availability which is required to satisfy consumers’ demands. When a product or item is about to get exhausted from the store’s inventory, the staff can track the inventory and re-order the same according to its demand. Moreover, with IoT sensors, retailers can provide facility to customers for tracking the merchandise i.e. 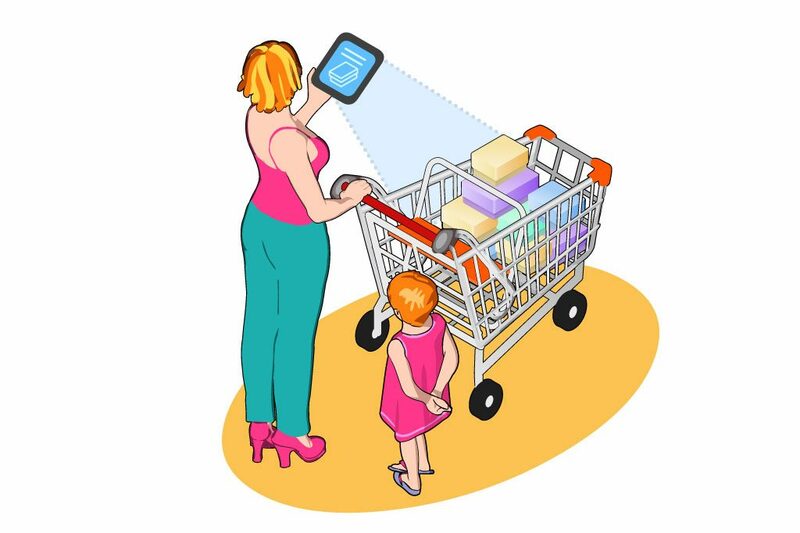 with sensors the consumer can find out which product is placed on which shelf or is located in which aisle. 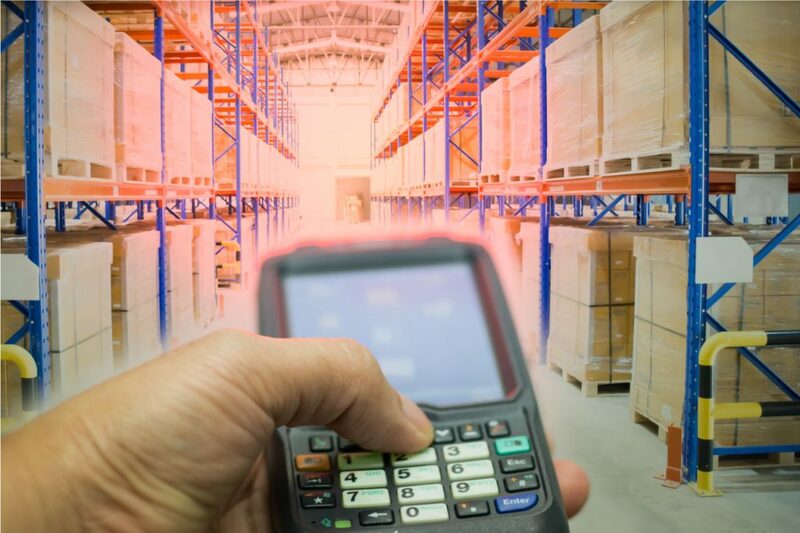 For warehouses, IoT can be used to track in which aisle the merchandise or inventory is placed instead of the staff physically visiting all the isles and shelves. Once the inventory is tracked with IoT sensors, delivering the merchandise on time becomes easy. This will also result in efficient operations, saving the huge cost and time for retailers and thus providing an ability to these retailers in bringing a competitive edge to their business. Due to the easy availability of the internet today, consumers are well connected. So while the consumers are present in the store, they are also able to check the prices of products online. If they find lower prices elsewhere, they might leave the store immediately. To avoid this, a lot of stores deny their customers in-store connectivity. But, this will drive away the consumers in the near future and the number of repeat customer will reduce. Instead, the retailers should provide their consumers with a free in-store Wi-Fi. It will enable the stores to provide a great customer experience and increase the footfall gradually. 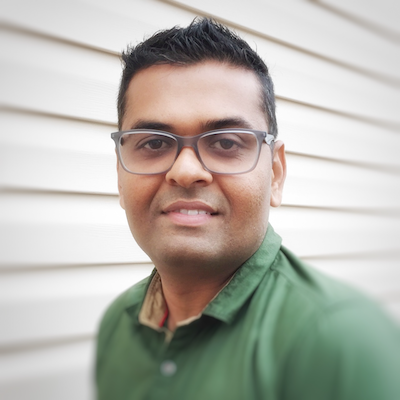 This will also help retailers convert browsing customers into buying customers and in turn, the stores can chart a way to a seamless shopping experience for their customers. Previously, to understand the buying habits of consumers, retailers and wholesalers or manufacturers had to carry out tedious and expensive surveys. But with the advent of IoT, things have changed. Now, with the help of Wi-Fi and IoT sensors, geofencing and beacons, it has become easy for stores and malls to monitor the footfall of consumers. Retailers can now easily analyze the buying and spending habits of their consumers because they can know in real-time as to in which aisle or on what product is a consumer spending more time on. IoT thus helps in mapping the consumer journey and also enables real-time monitoring of consumer demands. It enables the retailers to provide a customized or personalized shopping experience which will result in customer loyalty and repeat customers. Since consumers will be connected through IoT sensors with the store’s systems, it’s now easy for the retailers to predict the demand of products being consumed. While mapping a customer’s journey, retailers will be able to know about the buying and spending history and habits of their consumers. This enables the retailers in forecasting future demand and thus forecast the inventory stacking. Hence, they will be able to adjust their supplies according to the customers’ demands. There were times when it was tough for retailers to control the theft and pilferage in their stores. Stopping customers from stealing or consuming edible food in the stores was a persistent problem. But now with the help of IoT devices, retailers’ staff can easily keep a check on any suspicious activities in the stores and can prevent theft or pilferage within their stores and malls. IoT devices also help prevent retail shrinkage. As per statistics, the inventory shrinkage costs the U.S. retail industry over $45 billion every year. So, when products are fitted with RFID (Radio Frequency Identification) tags, it helps prevent theft or pilferage. The products, if stolen and if it is tried to be sold in the gray market, will be identified due to these RFID tags. Although, when an attempt to steal the products is made, most of the times the RFID tags will alert the retailer’s staff post which they can take appropriate measures for theft prevention. Along with RFID, the geo-fencing technique can also be used. Since geo-fencing relies on GPS or RFID, a virtual barrier is created for the locations in retail shops. So when someone tries to move the product from its specific location, an alert gets triggered to the store in-charge who can further stop the merchandise. The malls and stores consume a lot of energy which is a major factor to be considered for the retail sector. A maximum amount of energy gets used in refrigeration, heating, lighting, air conditioning etc. IoT enabled smart devices can help bring down the energy consumption and save costs up to 20% for the retailers. Various integrated sensors can be used to monitor the temperature, energy usage, gas leakage, heating, electricity breakdowns etc. These devices can be used to alert the in-store personnel who can look into the problems like leakages or overheating and get them resolved. These devices also help in reducing downtime of equipment with the help of predictive maintenance thus increasing the overall efficiency and working of the stores. Supply chain and logistics form an important part of the retail and wholesale operations. While having the right amount of inventory is important, the inventory reaching the retailers on stipulated time is also important. Supply chain operations are complex, so the chances of errors increase. To minimize such errors and increase its efficiency, the Internet of Things is being used progressively in the supply chain. From tracking the inventory items to tracking the vehicles carrying the merchandise and route optimization, everything is done with help of IoT devices. RFID, GPS, Beacons etc. are being continuously used to minimize the errors and optimize the supply chain operations. To conclude, IoT in retail industry is becoming more and more important in their day to day operations. Other than retail industry, Internet of Things is being used in other businesses viz., manufacturing, transportation, supply chain, logistics, home décor etc. Internet of things in retail industry will be unavoidable in the next decade. The possibilities are endless. Using IoT devices appropriately will help businesses in cost reduction, efficient operations, and revenue optimization. They will also be able to monitor the productivity of their employees. This also increases the possibilities of introduction of new revenue streams and channels. The idea of “connected homes” or “connected offices” is no longer an idea but a reality. Even fitness, health & beauty industries are becoming a part of the IoT ecosystem along with industries like manufacturing or logistics. So to sum it up, IoT is going to become a part of daily lives in the near future.